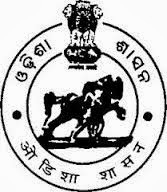 Odisha Staff Selection Commission (OSSC) has published notification for the recruitment of 844 Sub Inspector of Police Posts for the Combined Police Service Examination-2013. Eligible candidates can apply online from 09-12-2013 (13-12-2013) to 08-01-2014 (13-01-2014) by 11.59 PM. Qualification: Candidates must possess Graduation in any discipline from a recognized university. For Station Officer, Fire Service candidates must be a Science or Engineering Graduation from a recognized university or institution. Selection Process: Candidates will be selected based on performance in Preliminary examination, Physical test & viva-voce test. How to Apply: Interested candidates can apply online through the website of the commission “www.odishassc.in” by filling all the mandatory details from 09-12-2013 (13-12-2013) to 08-01-2014 (13-01-2014) and send application form along with relevant certificates mentioned in the notification in an envelope super scribing with the name of the post applied for to the Secretory, Odisha Staff Selection Commission (OSSC), Barrack No.1, Unit-V, Bhubaneswar-751054.